Kabbalist Rav Berg reveals the secrets of the Zohar portion of Lech Lecha. Read the full article and connect to the energy of the week here. Kabbalist Rav Berg reveals the secrets of the Zohar portion of Noach. Read the full article and connect to the energy of the week here. 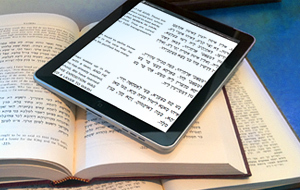 Kabbalist Rav Berg reveals the secrets of the Zohar portion of Beresheet. Read the full article and connect to the energy of the week here. Kabbalist Rav Berg reveals the secrets of the spiritual holiday Yom Kippur. Read the full article and connect to the energy of Yom Kippur. Kabbalist Rav Berg reveals the secrets of the spiritual holiday Rosh Hashanah. Read the full article and connect to the energy of Rosh Hashanah. Kabbalist Rav Berg reveals the secrets of the Zohar portion of Ha’azinu. Read the full article and connect to the energy of the week here.